I'm not really an Amanda Hocking fan. I respect her hard work and her success, but I've read a lot of her novels and they just don't do it for me. 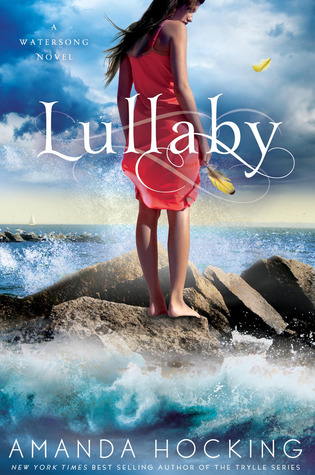 That said, the cover for Lullaby is freaking gorgeous. I wish they'd offset the girl a little bit because it looks very symmetrical, but that's nitpicky. Otherwise, it's everything a cover should be. Limited color palette with accent color. Unique font (with some fancy text design going on, I might add) which is really pretty and also fits the tranquil theme. Matching (but not identical!) and not-too-big accent text. It's really just well done all around. And if you're into mermaid romance, go check it out the book too. Just not my thing. This is one of my favorite covers. It's "Time After Time" by Quietdrive, covering Cyndi Lauper. And it's gorgeous. They capture the sweetness and intensity of the original while adding some edge to it. If you haven't noticed, I like me some edge. Anyway, it's a really great example of a cover that goes beyond the original while still respecting the source. Enjoy!